Jan: I had a great upbringing but I was known as the black sheep in the family, wanting to rebel against everything. During the early 70s I was heavily involved in the drug scene and festival cultures like Bickershaw and Glastonbury. Stu: Being brought up in a religious family, going to church was the norm. Looking back it was only when I was about 14 that I started to take a real interest in wanting to know more about God. Jan: Three years of partying left me utterly confused. Someone once asked me ‘who or what do you worship?’ I said ‘trees’ – I wouldn’t even sit on park benches as I thought I’d hurt the feelings of the wood! I was just depressed and felt rubbish and unclean. Stu: During 1963-1964 it was the factory scene. We’d work hard in the week and then the boys would let loose on the weekend with drinking and girls. But something told me that God was real so I didn’t get involved but continued to find out more about him. Stu: To be honest I can’t pin a date on when I became a Christian. Looking back it was as though God had been directing my life. My friends were living one way but God was pulling me to him. By 1971 I knew that God had made me a Christian, and I was committed to following Jesus, so it was then that I got baptised. Stu & Jan: We met in 1982. Three weeks later got engaged and six months after that, we were married. We’ve been blessed with two boys and a granddaughter. There have been many joys! But we’ve both struggled with our health for a long time. Jan has been in and out of hospital for almost 30 years. Stu almost went blind in the early 90s. But we know the realisation that God is with us in our struggles. We don’t always feel it but we know and trust what we read in the Bible. When difficulties come we learn to trust God and remember this verse in the Bible that says Christians can have a ‘peace that passes all understanding’. It can get a bit frustrating sometimes because of things we’d like to do but can’t. But God gives us what we need and with that we can be content. 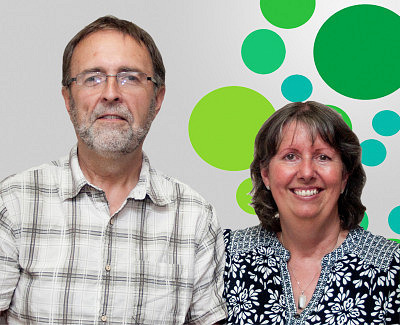 Stuart & Jan’s story is not unusual at Bethel. Many have found that God has given them lasting peace and happiness that they never expected to find. 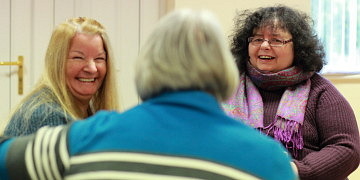 Why not come along to one of our meetings and see for yourself?